To experience cannabis-derived terpenes and cannabinoids at their finest, connect with a DNA Plug. 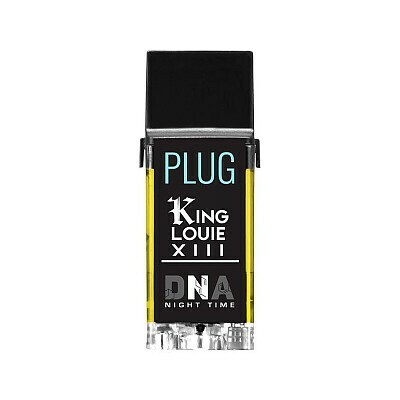 PlugPlay debuts its King Louie Xlll in the DNA line. Experience the spicy terpene profile of the original cultivar as pine, and sour aromatics fill the air with every exhale. King Louis XIII cannabinoids deliver muscle relaxation and ease tension as your consciousness lulls and wanders to sleep.